The Bernina portion of our website is for informational purposes only. We are an authorized Bernina dealer and can only sell Bernina products to customers that are able to come into our stores. If you would like more information, please contact our East Lansing location (517)351-2416 or Jackson location (517)782-7100. BERNINA International AG has been one of the world's leading sewing and embroidery machine manufacturers for more than 120 years. The Swiss family-owned company's products are synonymous with innovation and precision. Above all, they are known for their durability. BERNINA sewing machines are used worldwide by women with a passion for sewing. Their passion is the development of products that allow you to put your creative ideas into practice. Here, you can find out what makes BERNINA special. They are proud of the fact that they are the only sewing machine manufacturer still producing in the western world. At the headquarters in Steckborn, Switzerland, they can look back on a tradition that dates back more than 120 years. 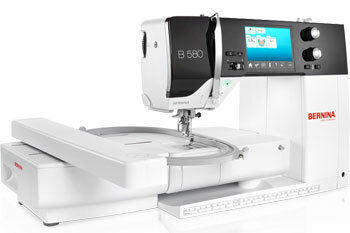 The BERNINA 790 is the ideal machine for sewing fine fabrics. It lets you embroider designs over a particularly large area, and offers a range of luxury features. For American quilt artist Tula Pink, the BERNINA 770 QEE is something very special: “Next to my passion for my designs, I’m equally passionate about BERNINA. The BERNINA 770 QEE gives me the space I need for quilting, plus the Stitch Regulator can’t be beat for even stitches.” Tula’s love affair with textiles began early and an obsession with sewing soon followed. Tula began quilting in an effort to use up her ever-growing stash of fabric so that she could justify buying more. Today, 16 years later, she is a renowned designer and quilter. Tula Pink has designed a quilt from her “Moonshine” fabric collection exclusively for BERNINA. This limited Special Edition sewing and quilting machine features an elegant rose gold faceplate. It features the BERNINA Stitch Regulator (BSR) function. It has an extended freearm for grand ideas. Adaptive thread tension for each and every stitch type and an interface with sewing consultant for easy operation. 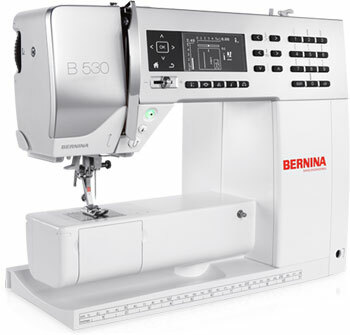 Whatever you wish to sew or embellish, the BERNINA 580 puts a wide range of stitches at your disposal. With 838 stitches in all, including 186 decorative stitches, you've got a generous selection from which to choose. In addition, 7 alphabets for sewing and 7 alphabets for embroidery ar at your fingertips. The 100 embroidery designs can be accessed in a separate embroidery mode and adapted on the touchscreen. 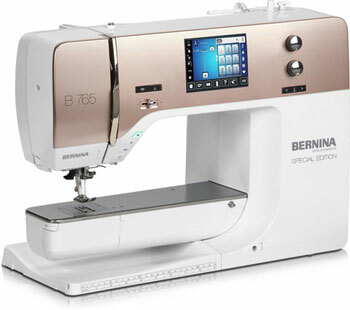 Whatever you want to sew or embellish, the BERNINA 560 E offers a variety of stitches. With a total of 676 stitches, including 160 embroidery stitches, you have a generous selection from which to choose. In addition, it offers 5 alphabets that can be sewn as well as embroidered. The 70 embroidery patterns can be retrieved in a separte embroidery mode and adjusted using the touchscreen. A lot of space for big art work. For American quilt artist Tula Pink, the BERNINA 770 QE is something very special: “Next to my passion for my designs, I’m equally passionate about BERNINA. The BERNINA 770 QE gives me the space I need for quilting, plus the Stitch Regulator can’t be beat for even stitches.” Tula Pink plays with images the way a poet plays with words, turning innocuous traditional designs into mischievous little critters. Tula’s love affair with textiles began early and an obsession with sewing soon followed. Tula began quilting in an effort to use up her ever-growing stash of fabric so that she could justify buying more. Today, 16 years later, she is a renowned designer and quilter. 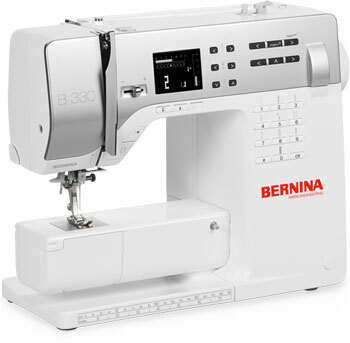 The BERNINA 570 QE provides an exclusive level of stitch control. 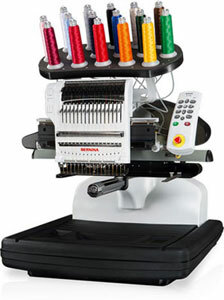 Whether altering the stitch length (up to 5mm), width (up to 5.5mm) or needle position (up to 11), or even creating custom combinations, you'll apppreciate the convenience of a machine that remembers the stitch details for you. 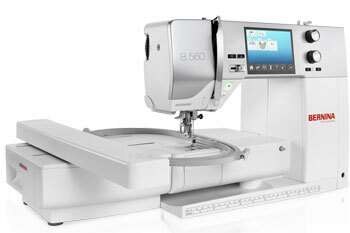 The B 570 QE is a genuine all-rounder that can sew and quilt. Additionally, it can accept the optional embroidery module. The touchscreen makes changing from sewing to the embroidery mode a breeze. There are 50 embroidery designs to choose from, nad you can upload your own via a USB connection. The designs can be edited right on the touchscreen. The BERNINA 740 won over Swiss designer Mathias Ackermann right from the start. "Working with a BERNINA has an inspirational effect on my designs. I love working with the BERNINA 740, and not just because of its well-engineered technology. Features such as the threader and the BERNINA Stitch Regulator thrill me to bits. What's more, ite versatility inspires me with new ideas, and its user-friendliness is simply brilliant. It also sews the finest fabrics, effortlessly." 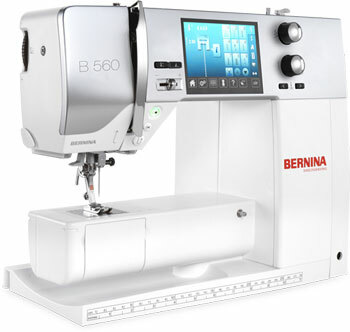 Whatever you want to sew or embellish, the BERNINA 560 offers a varied range of stitches. With a total of 700 stitches, including 160 embroidery stitches, you have a generous selection from which to choose. In addition, if offers 5 alphabets that can be sewn. The 70 embroidery patterns can be retrieved in a separate embroidery mode and adjusted using the touchscreen. 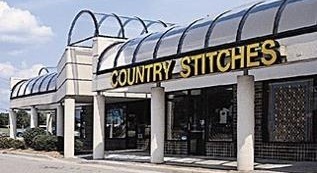 Your individually adjusted stitches and embroidery designs are easily and pernanently saved using the memory function. The BERNINA 530 boasts an extensive repertoir of utility and decorative stitches whose properties can be individually set. Stitch length and width as well as 11 different needle positions can be freely modified, and either temporarily or permanently saved to the 530's memory. The BERNINA 530 is up to the challenge of a wide range of tasks, and provides you with optimum control over your sewing projects. Stitch parameters can be individually matched to the fabric and the intended effect, so you can always acheive your desired result when sewing and quilting. The BERNINA 350 PE counts among its features a free-arm extension table enabling you to increase your work area quickly, affording you greater ease when sewing and allowing for optimum control in guiding your project. Together with the bright LED sewing light, this provides you with the perfect view of your project. 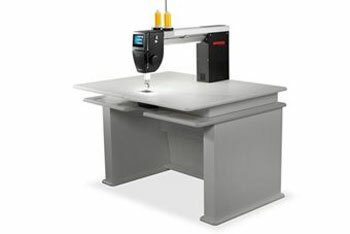 Large-format projects in particular can be handled effortlessly - and once you are done, remove the BERNINA 350 PE's extension table with the push of a button to return to free-arm sewing. The BERNINA 330's broad variety of stitches are an invitation to try out and experiment, letting you create attractive stitch combinations that you'll want to use again the next time you turn on your machine. Whereas in the past you'd need a notebook to jot down your stitch combinations, the BERNINA 330 offers a generous long-term memory with 30 free locations for your own stitch creations. This ensures that your favorite or most frequently used stitch combinations are immediately available again at the press of a button. 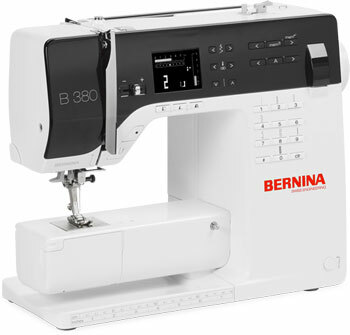 The BERNINA 330 offers an extra touch of luxury missing from many entry-level machines - room for your own creativity. Who says a sewing machine always has to look the same? For the BERNINA 215 Simply Red, there's a very special option available: with BERNINA DesigSkins, you can turn your BERNINA 215 Simply Red into an unmistakeable, entirely individual one-off. You can either select your favorite design from the various designs available, or use your own photos or graphics to lend an individual look to your BERNINA 215 Simply Red. 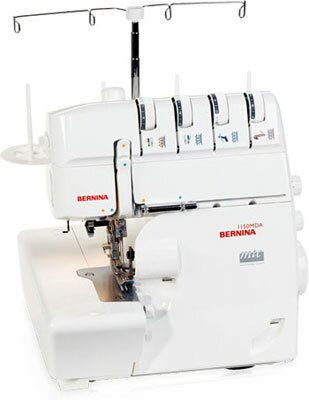 This gem of a sewing machine has the BERNINA features and easy convenience beginners love. It is ideal for sewing quilts, crafts and garments. It offers 17 different stitches including a buttonhole and two decorative stitches. 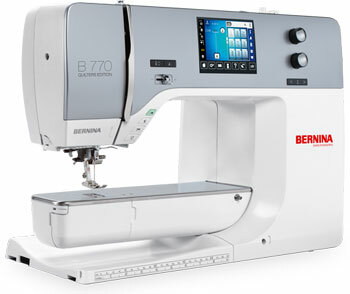 The BERNINA 1008 offers all the advantages of a mechanical sewing machine - state-of-the-art solid construction, ease of operation, clear stitch choice and stitch variation. It's a versatile mechanical sewing machine covering a multiplicity of uses, designed to bring out your creativity when you sew. 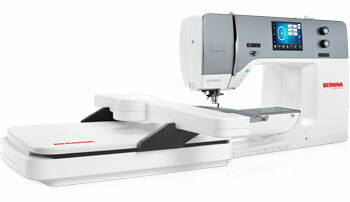 The new BERNINA 1300MDC makes creative sewing easier than ever before! Enjoy the wealth of luxury features which will make sewing and overlocking even more of a pleasure – especially the new, patented mtc (micro thread control) system for the perfect seam at the turn of a knob. What’s more, you can even save your personal settings on the LCD. The BERNINA 1300 MDC offers a wide range of different stitches, and supports your creativity with a host of convenient features for smooth, speedy serging. The BERNINA 1150 MDA shines on account of its versatility and a host of convenience features that make serging more precise as well as more enjoyable. It features the patented mtc (micro thread control) system for the perfect seam at the turn of a knob. With the BERNINA 1150 MDA puckered or wavy seams in knits are a thing of the past. Differential feed allows you optimum control over the feed. There is also a built-in threader for two needles. Working with an overlocker/serger sewing speed of up to 1,300 stitches per minute means saving time. Sewing projects take shape quickly and with little effort. Innovative features make BERNINA overlockers/sergers delightfully easy to use, ensuring professional quality down to the last stitch. The overlocker/serger is a perfect companion to the sewing machine as a specialist in coverstitch and chainstitch. 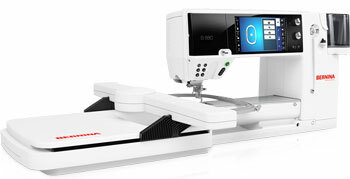 BERNINA's first embroidery only machine offers even more features and options for embroidery lovers. Accurately place designs with Pinpoint Placement. 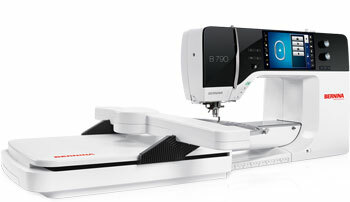 The BERNINA 700 works only with the embroidery module and is the perfect companion as an embroidery only machine. With 16 needles, speeds of up to 1,400 stitches per minute, automatic tension settings, and a narrowed cylindrical arm - the BERNINA E 16 will complete the task like a pro - whether embroidering a jacket back or small pocket. Personalize team uniforms and caps, monogram stylish totes, commemorate a special occasion, use the Chenille technique for a special 3D effect, or complete an elaborate embroidered quilt - the results will be everything you ever dreamed of. Choose the BERNINA Q 24 if you want to realize the biggest quilting dreams you can imagine. Due to the simplicity of the machine and frame design, this quilting system has the largest usable quilting space in the 24-inch category. 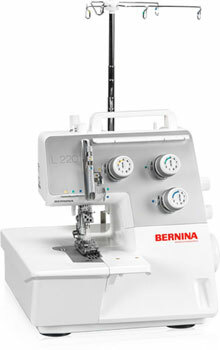 The BERNINA Q 20 is designed, engineered, and assembled in Switzerland and comes standard as a sit-down model machine. The generous longarm depth and height provide ample space for managing your larger quilts. Quilt larger quilts than on a domestic machine. 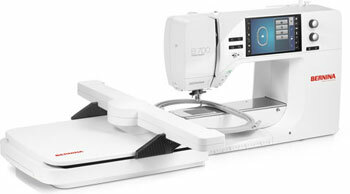 The Q 20 offers less footprint in yoru sewing room. Undecided? 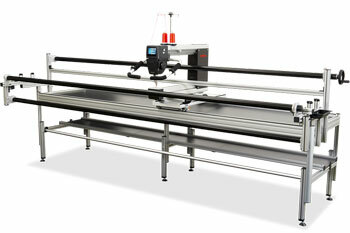 The Q 20 can be upgraded to a frame model machine at any time.